Fifth Harmony, which is actually Fourth Harmony, has now stopped harmonizing altogether. Fifth Harmony has been slowly falling apart ever since Camila Cabello, the hammiest member of the group, left to pursue a solo career in 2016. Some understandable tension arose between Cabello and her former harmonies after her departure, even culminating in the then four-member group throwing a fake fifth member off the stage at the MTV VMAs last year. The last recent self-titled Fifth Harmony album—their first without Cabello—also paled in comparison to their previous 7/27, which memorably taught us all how to work from home. While Fifth Harmony continued to release music despite the fact that they were reduced to four harmonies, the members were clearly readying themselves for going solo. 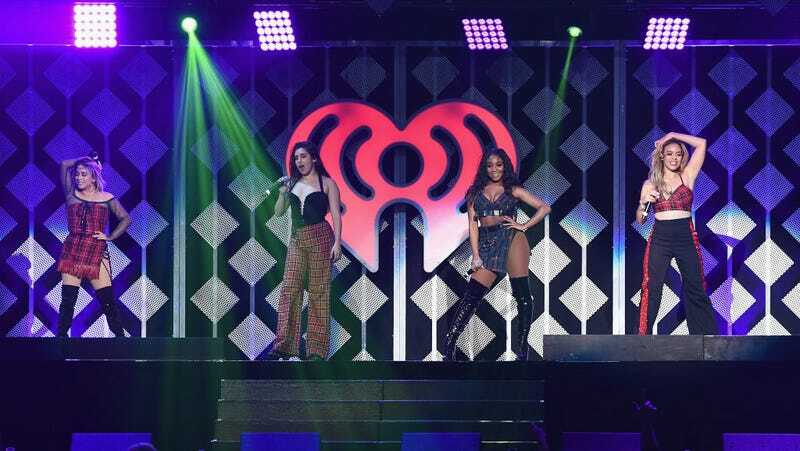 Lauren Jauregui collaborated with Halsey, Normani released a song with Khalid, and an eventual hiatus for the group seemed inevitable. Congrats to all the harmonies, for finally being first.